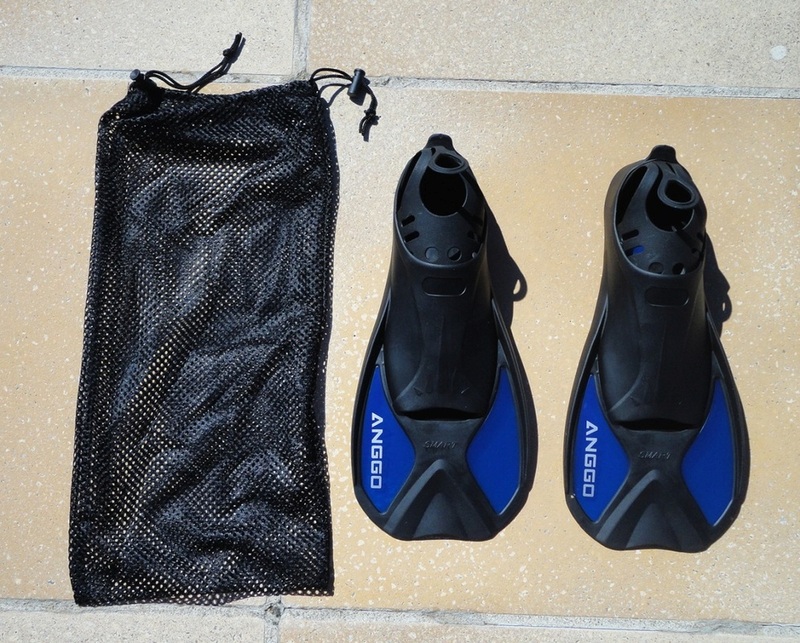 This is the first pair of short flippers I have tried and I really love them. I was looking for something to use in the swimming pool to strengthen my leg kick and these are perfect to put a little more pressure on leg, buttock and stomach muscles. The sizing appears to be based on men's feet so I found it quite generous. With a shoe size of 7 UK, 8-9 US and 40 EU, I asked for a Medium and probably Small would have been better, but I don't mind that they are a little loose (I could always wear socks to tighten the fit). Because the shoe part is quite wide and made of soft rubber with an open toe box, there is quite a bit of stretch and my husband (shoe size 9 UK, 9 US, 43 EU) can also use them quite comfortably. In fact, they are probably a better size for him. 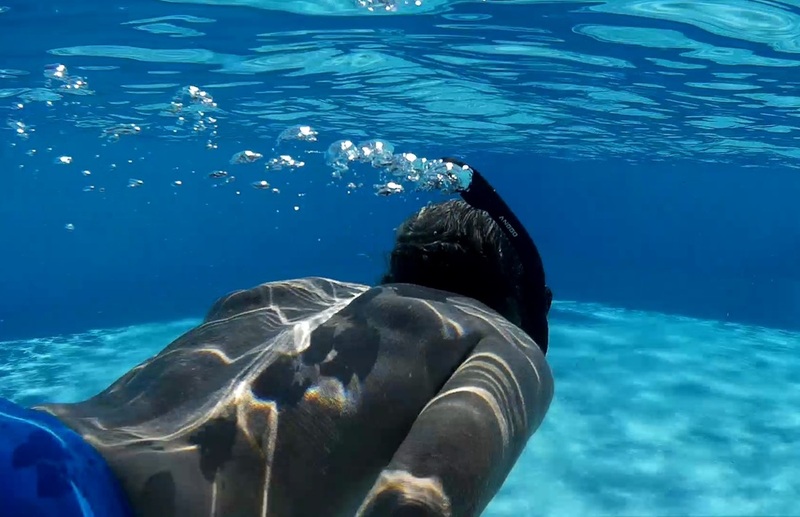 The core of the fin is made of hard plastic to catch the water very effectively and the front flap is flexible to increase the upkick. 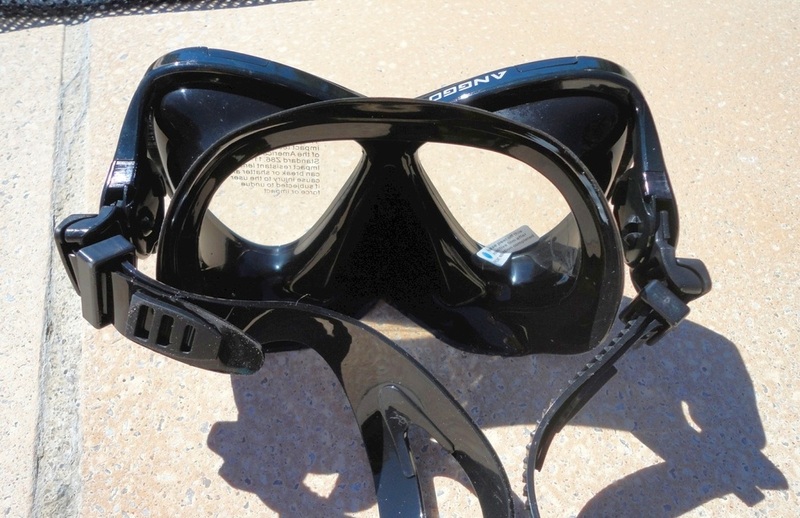 I feel like I'm flying when I swim with these on! Normally I struggle to stay submerged when I want to swim underwater but with these I don't even need to use my arms. 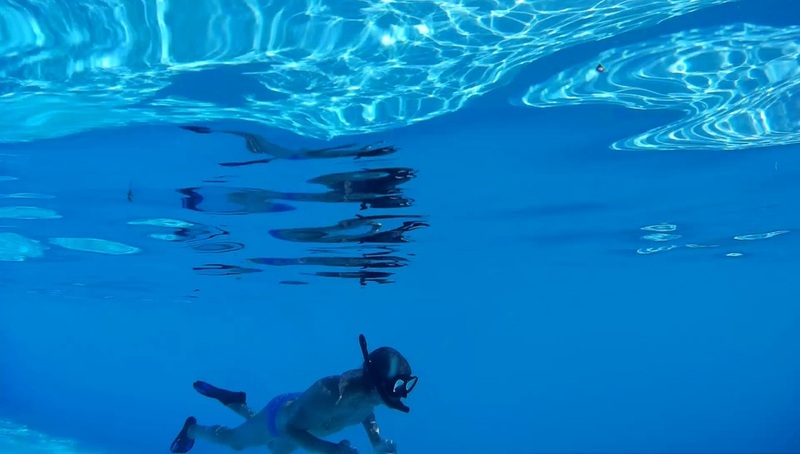 The only thing I would say is, be careful the first few times, unless you are used to fins, because you won't believe what a workout some of your less-used muscles will get! 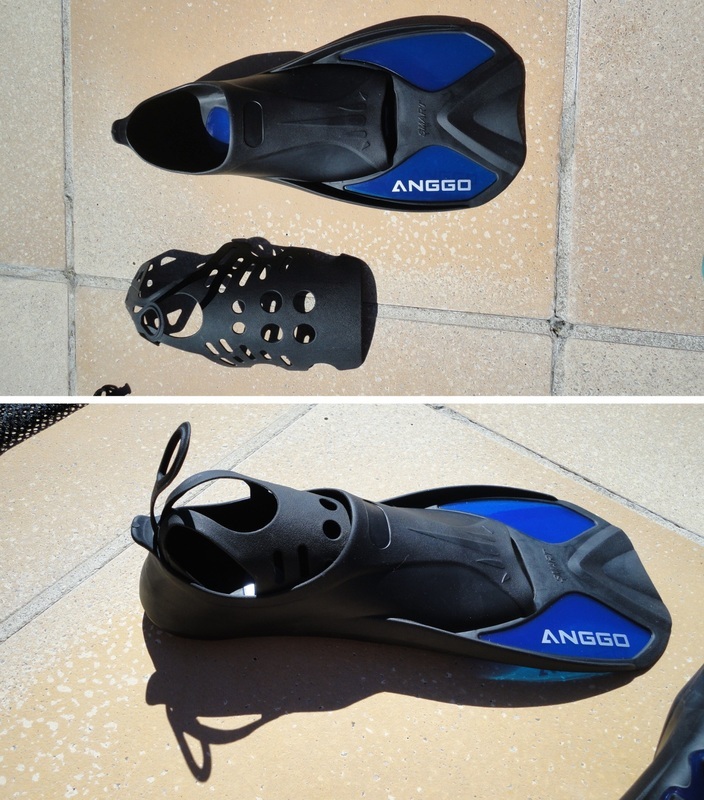 You can see from my photos the amount of flexion applied to the ankle, and after just three days (doing 20% of my session with fins on), my legs and lower back were singing! 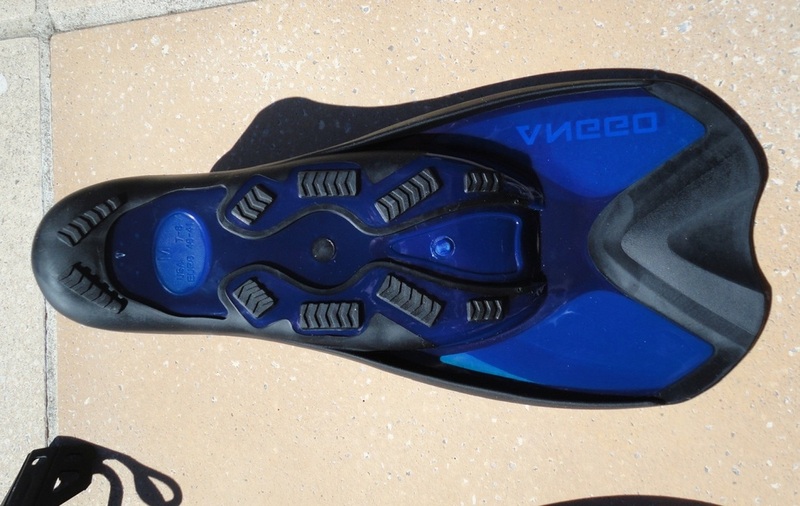 The shoe part has a small tab at the back to assist in pulling them on, and the sole has rows of treads for grip and, yes, you can actually walk with them on but for the sake of the fins, you really shouldn't! 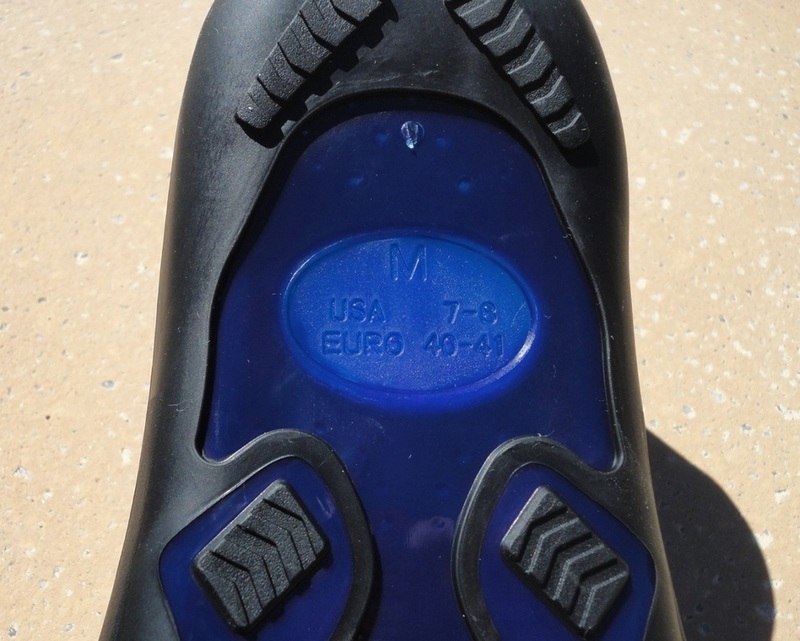 The well-designed, flexible shoe trees should be used any time you are storing the fins to help them keep their shape and, of course, a rinse in fresh water is essential to slow down degradation of the plastic materials. 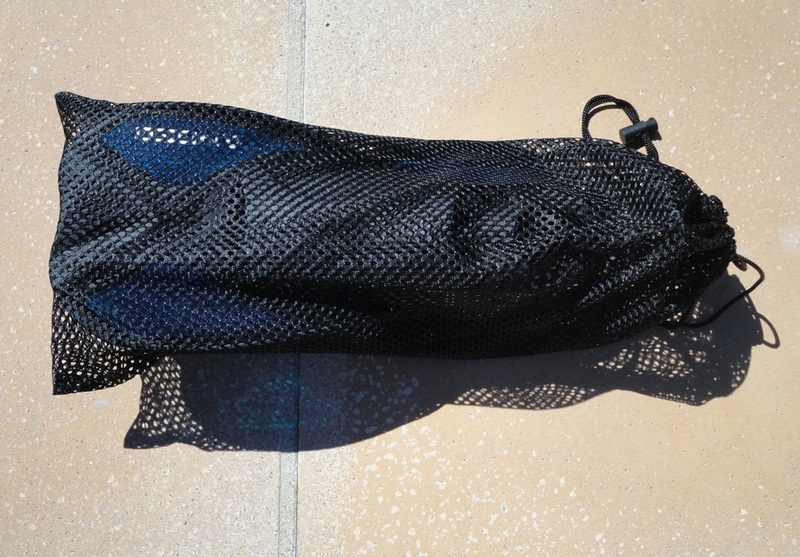 The mesh bag is also very nice; it allows any residual moisture to dry while keeping your fins together, organized and a little protected from the sun. I am delighted with my new training tool. 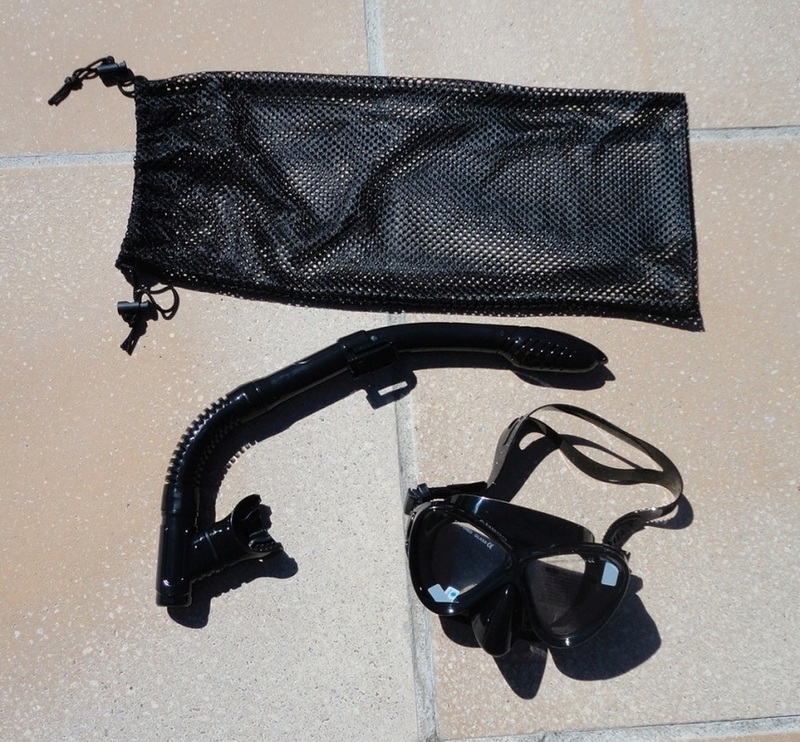 A very solid mask and snorkel set made with heavy, tempered glass which stays clear and does not fog up. The mask is secured by a silicone strap which you can adjust very easily on the fly by pulling the ends through a keeper. The closed nose design is different from my old mask, which covered the whole face but I found it fairly easy to get used to it. The silicone “skirt” of the mask is very supple and gives a totally waterproof seal; once in place it doesn't move and seems to adapt to different shapes and sizes of faces; in addition, the nose (in the black version) gives one a rather sinister Batman vibe. Cool! 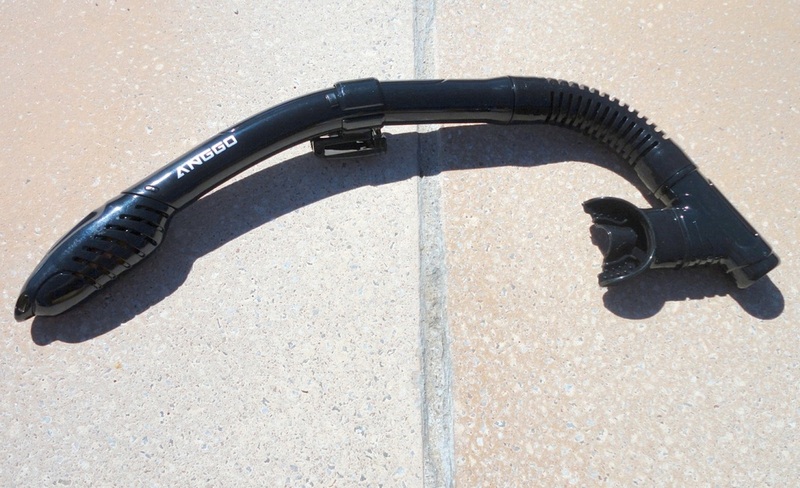 The snorkel tube clips on to the side of the strap and can be moved up and down as desired. 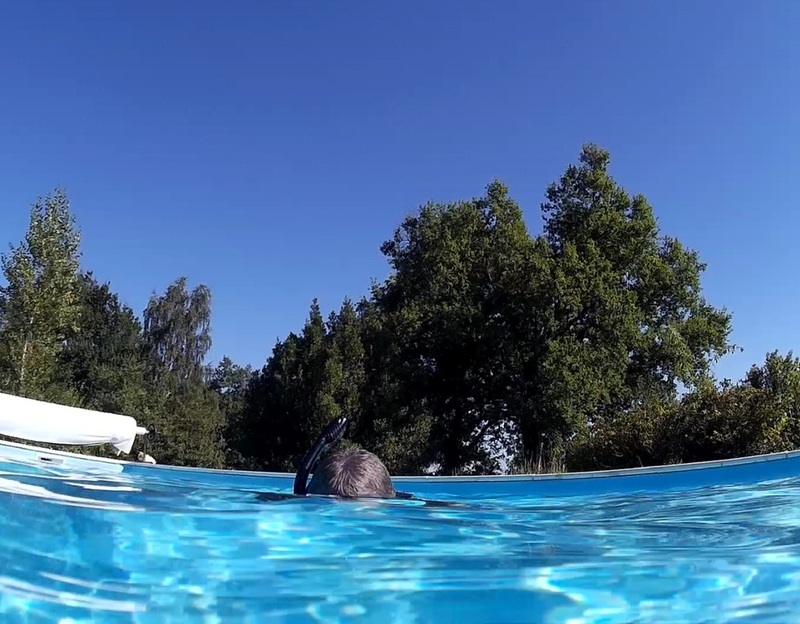 The floating stopper works perfectly, preventing water entering the tube when one dives deeper. If any water should get in the tube, one can purge it by blowing it out of a side opening. 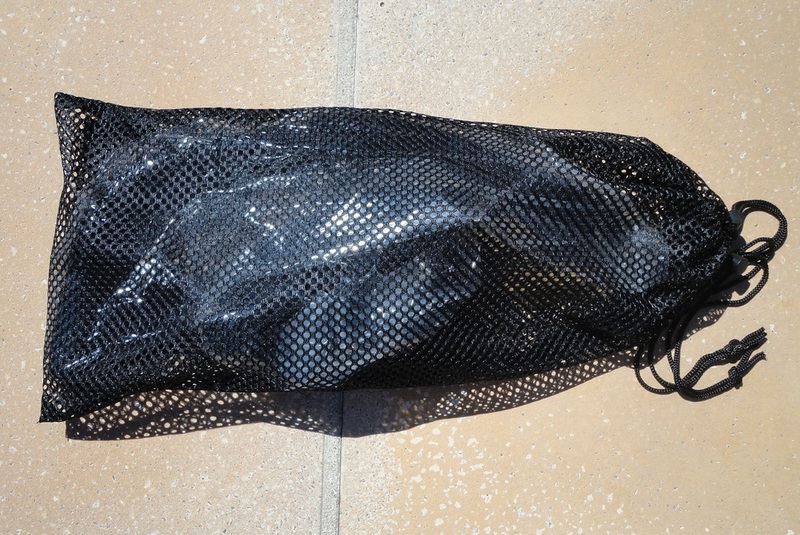 The set comes complete with a good-quality mesh storage bag which keeps the two pieces contained and somewhat protected. The materials appear solid and fit for purpose. With this sort of mask, the first thing to go is usually the strap, but I'm being careful about rinsing in fresh water after each use. Also, since the glass has been treated with an anti-fog coating, I try not to rub the inside face of the mask (same as for goggles). 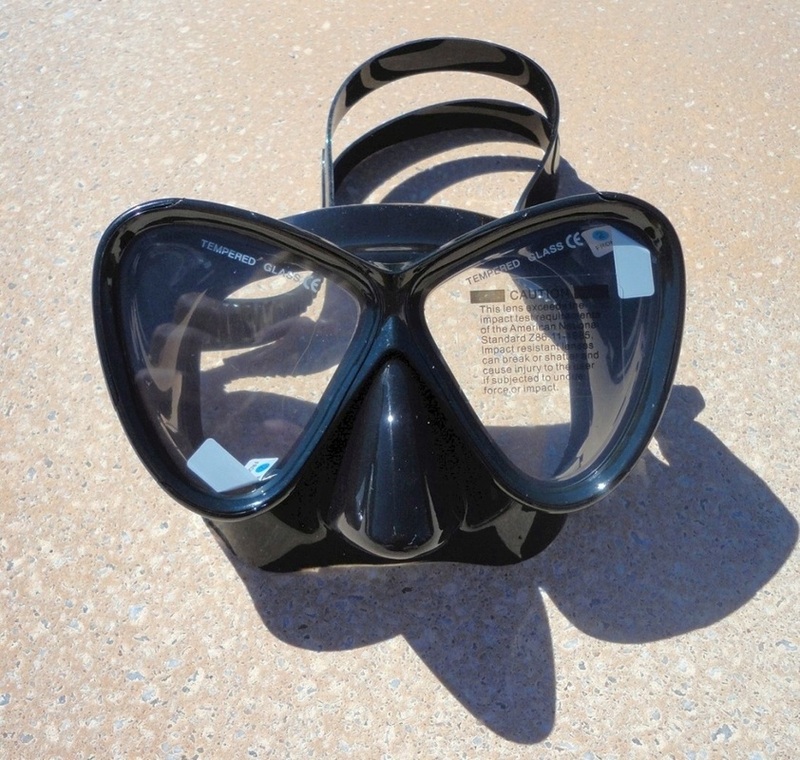 I love my new snorkelling mask set, it's fun and functional, and really quite affordable.